Ananda Cottages Ubud with Yoga and Spa in Ubud Bali, located in the cool tranquil hills just 25 minutes walk from the village centre of Ubud, Bali, offers lovely rural views surrounded by lush, green, fertile rice paddies. Bali's natural beauty remains a part of Ananda's grounds. In each, the Balinese architecture, décor, fine painting is of hotel standard while all the modern conveniences expected by the discerning international traveller are here. All are air-conditioned and have exotic garden bathrooms, convey the essence of the tropic. Ananda Cottages Ubud with Yoga and Spa Service since 2002. 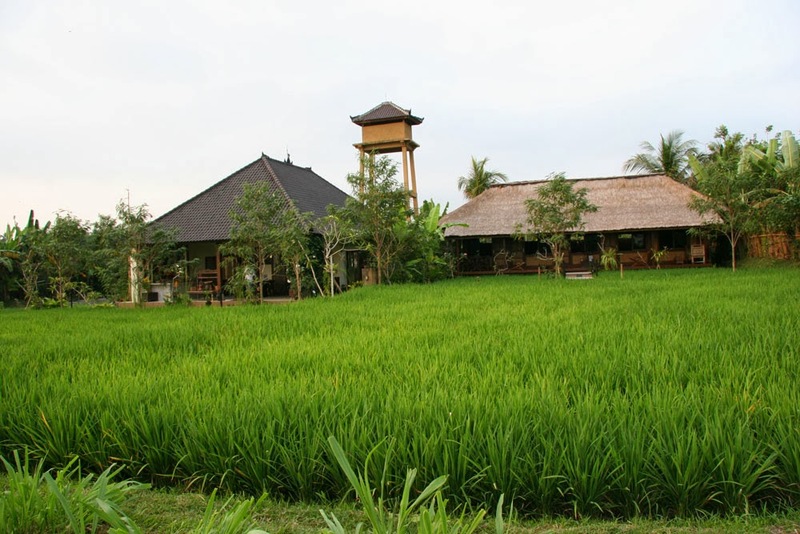 We're Cheapest and Best Cottages, Villas and Hotels with Yoga and Spa in Ubud Bali. Ubud is the artistic and cultural heart of Bali. There are many painters, dancers, musicians and sculptors. Three art museums have both traditional and modern paintings and sculpture on display. The Ubud market is a favourite with a vast array of produce including souvenirs. The nearby monkey forest has a temple in the midst of a jungle with many mischievous monkeys. Located amidst rice fields at the village of Ubud, The Ananda Cottages offer lovely rural views surround by lush, fertile rice paddies. Bali’s natural beauty remains a part of Ananda’s grounds. Open Daily : 9.00am to 9.00pm. * Light lunch & healthy juice.